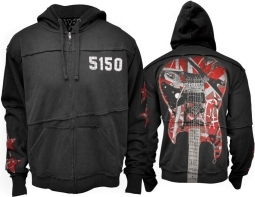 The 5150 hockey hooded sweatshirt. 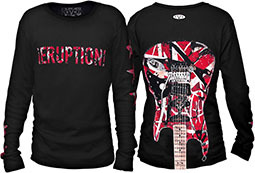 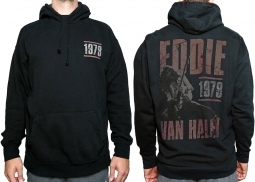 Featuring Eddie Van Halen's iconic 'Frankenstein' pattern printed inside the "5150"! 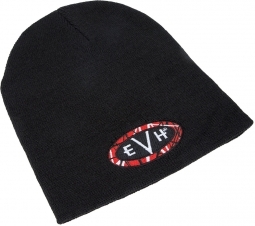 Made up of a blend of ringspun cotton and polyester fleece, it's comfy and super soft. 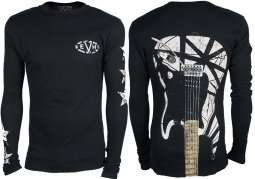 Sporting unique drawcord detail - thick, flat sport lace with black ticking - and a classic front pouch pocket, this jersey style pullover really stands out! 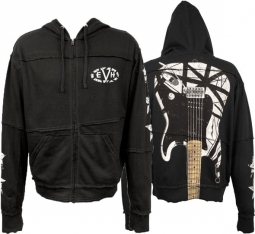 Front features EVH stripes printed inside "5150"
With the hoodie laid flat, we measured from armpit to armpit (across). 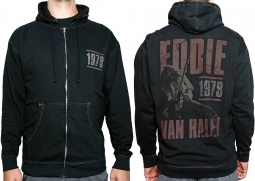 For "down back" we started at the very top of the neck (in the center), straight down to the bottom edge of the hoodie.